Our whole school community; students, faculty, staff, and many parents come together to pray and worship at these monthly liturgies. 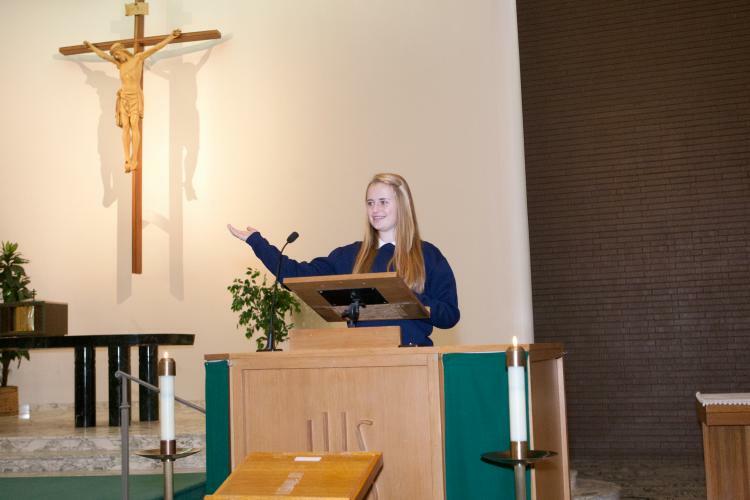 Students participate actively in the congregation, in choir, as altar servers, as lectors, and as ministers of hospitality. Friday, October 5th at 10:30 a.m.